With open offices being so popular these days and distractions pretty much everywhere you look, it can be difficult to find a personal space to gather your thoughts. But with the Thought Box, a $650 cardboard and fabric box that you put over your head, you can enjoy some personal place anywhere. The Thought Box is exactly what it sounds like – a box to help you think. Just have a seat on the included Thought Stool, put the box over your head and use the earplugs that come with it to detach from everything around you and just think. 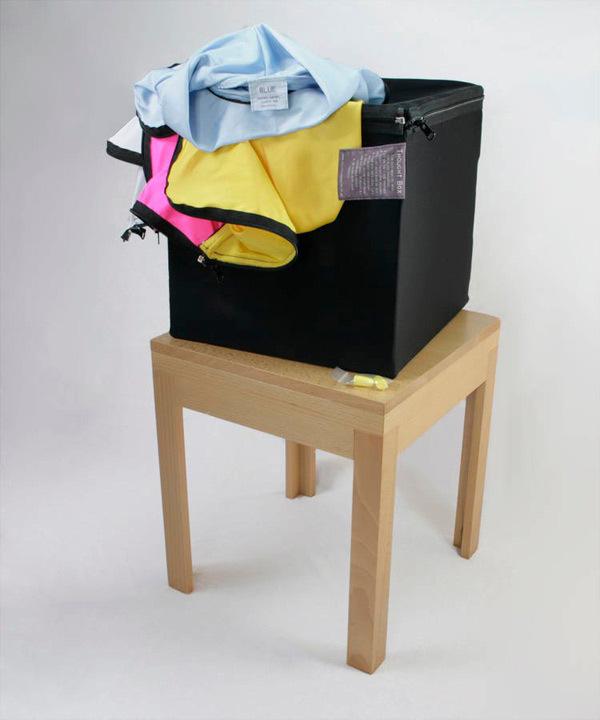 The Thought Box kit is made in Britain and consists of a cardboard and fabric box, an internal plastic helmet that can be adjusted to fit the user’s head, ear plugs, and 5 interchangeable colored fabric filters to suit your mood. It also comes with a Thought Stool made from solid beech. 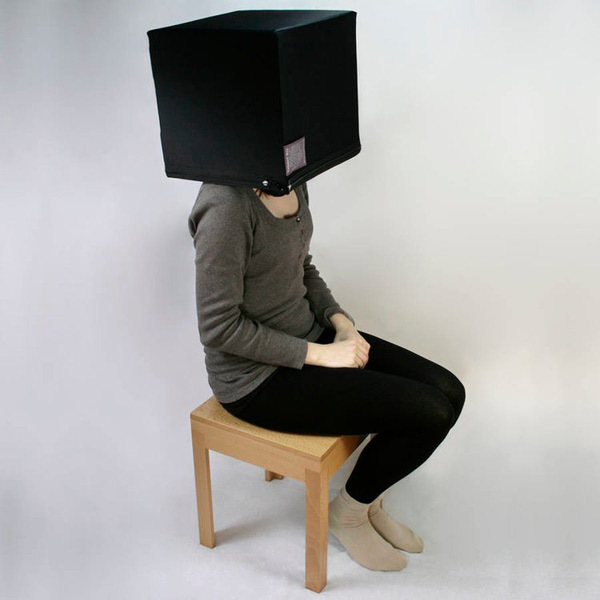 According to The Form Emporium product page, the Thought Box is intended as a personal space in which the user can simply think. It allegedly “promotes mental efficiency”. The bizarre product went viral on Twitter last month after BBC 2 Radio host Jeremy Vine shared it on the popular social media platform. Most of the people who responded to his tweet expressed their confusion both about the Thought Box and its price, with some even slamming it as ridiculous. "Are you having a laugh! All that’s missing is a big ‘D’ on the front! People who think they need one of these deserve to be ripped off I’m afraid! What next? A jar to store said thoughts in?” one Twitter user commented. "Will give you chance to reflect on how dim you are to waste that kinda money. Hilarious.” another person wrote. I’ve thought about this, yes I actually managed to think without the aid of a box. In case you’re actually thinking of spending $650 on a Thought Box, you’d better act fast, as the The Form Emporium has a very limited stock of only 10 units. But before you pull the trigger on the Thought Box, just know that when it comes to personal space, you have other options. The toilet tends to work great for some, but if you’re looking for something that’s available anywhere, maybe check out the Pause Pod tent or the Helmfon.